My Oil Colour portrait of Vodou lwa Agwe Ge Rouge. He is adorned in a decorative blue tunic and Kolye, a sacred bead necklace worn by vodouisants. 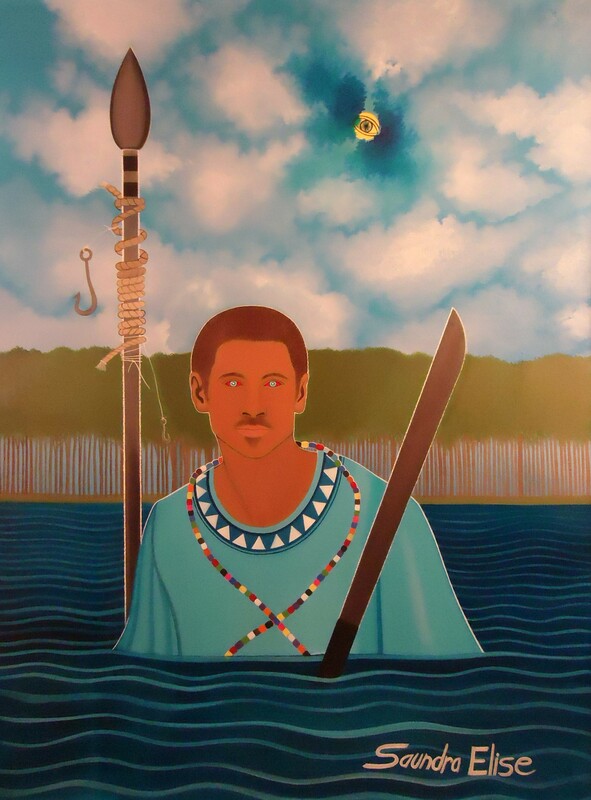 He rises from the ocean with implements of the water which is his kingdom and Ogoun’s machete guards him….. Image | This entry was posted in Art for the lwa and tagged agwe, agwe ge rouge, agwe red eyes, armor, art, arts, beads, blue eyes, creativity, drawing, ge rouge, god, haiti, Haitian vodou, illustration, kolye, loa, lwa, machete, magic, ocean, oil painting, painting, portraits, red eyes, religion, sea, spear, spirit, spirits, turquoise, vodou, voodoo, water, weaponry. Bookmark the permalink. Beautiful. I love that blue, the water, the clouds…and of course the eyes. Thanks!! 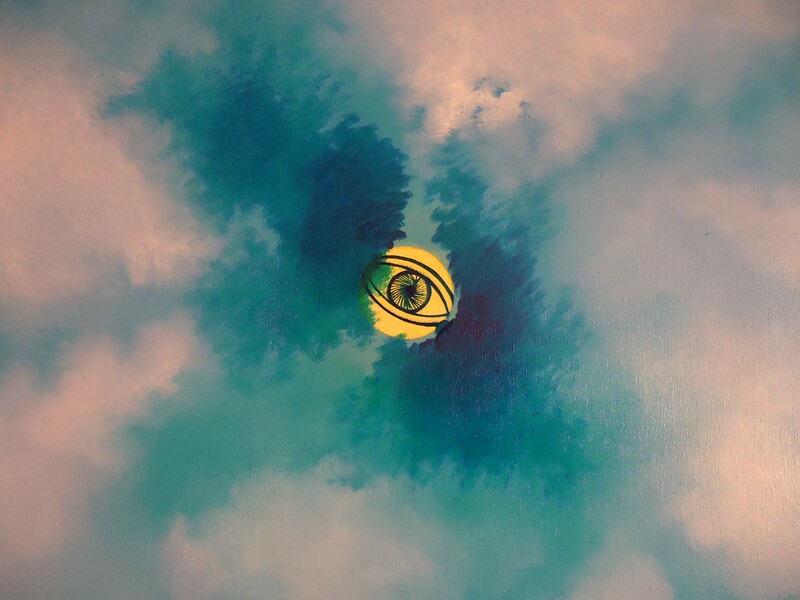 I used a new shade for this painting, its called Pthalo Turquoise its very sharp. And striking. The contrast with the deep blue water is also wonderful. I love how you did his eyes. 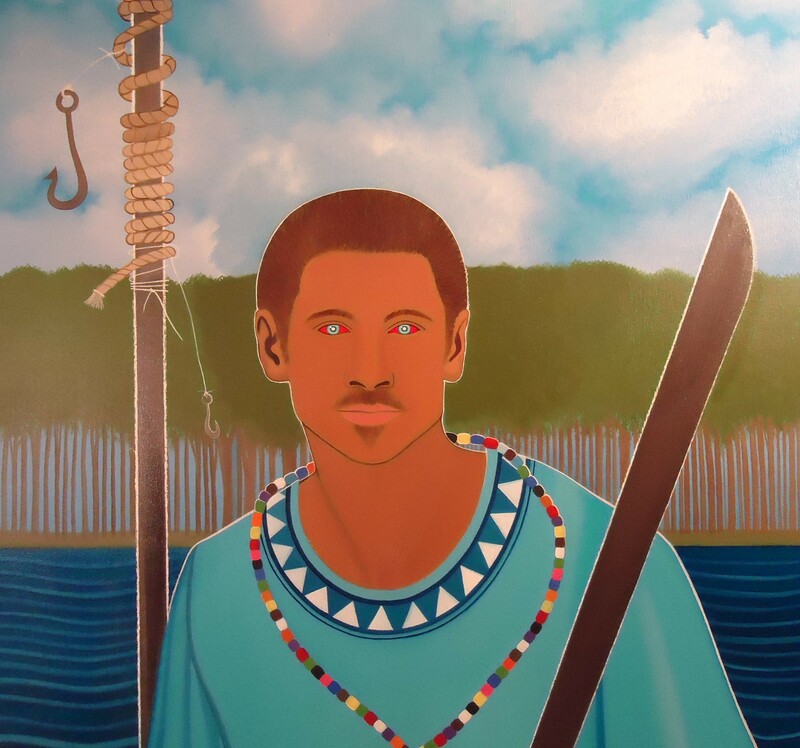 Thank you, they say Agwe appears as a Haitian man with ocean colored eyes. Thanks! Eyes are my favorite!